What type of spinal stenosis books will be useful in order to prevent misdiagnosis and facilitate successful treatment? 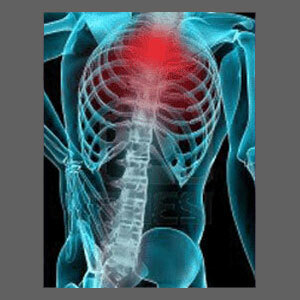 Is the answer to the painful problem of spinal stenosis written in any book? For some patients, the answer is yes. For others, the answer is maybe. Spinal stenosis is quite different from many spinal diagnoses, since it tends to respond better to indicated care when compared to other common back and neck pain conditions like facet syndrome herniated discs and degenerative disc disease. This is because spinal stenosis has a better chance of being accurately diagnosed as the true source of symptoms, leading to effectual treatment. However, some patients still do not find relief, despite active and seemingly successful treatment. It is these people who have the most to gain by further reading the facts of spinal stenosis in select books and using the knowledge therein to guide their future therapy endeavors. This focused article covers books about spinal stenosis and back pain in general. We will examine whether these books are worth reading and what types of benefits can be gained from this use. The first are books written about specific forms of self-treatment, like stretching, exercise and activity-related therapies such as tai chi, Pilates and yoga. These books might provide some knowledge about using specific forms of symptomatic care to increase functionality and decrease pain without the need for drugs or surgery. Results for spinal stenosis patients are likely to be conservative in the very best scenarios and useless in the worst. General back pain books range from general knowledge literature to guides covering surgery and other medical treatments. These books are great for research, but usually do not provide many implementable solutions to help patients. Knowledge therapy books are very useful for anyone with a chronic health issue, such as spinal stenosis. In the best circumstances, knowledge therapy can provide a true and lasting cure from chronic pain. In the worst circumstances, patients will still enjoy benefits to overall health, wellness and their ability to fully recover after successful treatment. These books are always a good investment of time for anyone who wants to become more proactive in building good health for life. On the counterpoint, there are many back pain books that are complete scams and provide absolutely no benefits to readers. These “miracle pain relief” programs generally make ludicrous claims of cures using illogical and ineffective methods. In some cases, the techniques presented might be very dangerous. Avoid these products and do not support their soulless creators. Knowledge is always a good weapon against any type of health issue, especially chronic pain. Although spinal stenosis does enjoy better diagnostic accuracy and treatment results compared to many other back pain problems, many patients are still misdiagnosed. Reading why this occurs can help patients to avoid this terrible fate and the long series of negative consequences that typically follows suit. Knowledge therapy is a proven way to beat many forms of chronic pain, by understanding the actual mechanism through which symptoms are created and dispelling incorrect ideas of structural causation that apply to many patients, including some of those with spinal stenosis. Therefore, some patients might actually be able to fully cure their pain permanently simply by utilizing a quality knowledge therapy program as outlined in the best books on the subject. The answer to structural stenosis issues rarely resides in any book, except when the patient is simply researching the best way to treat a specific condition using an effective medical therapy. However, since many patients are misdiagnosed and are actually suffering from some other types of pain that has been blamed on typical degrees of normal stenosis, it is always worth trying knowledge therapy before attempting any dangerous or invasive care. Many patients are surprised at the program’s ability to end pain that they were convinced was caused by a narrowed spinal canal. To this end, we recommend utilizing a comprehensive form of knowledge therapy, with the addition of accepted medical and complementary health guidance, as well. 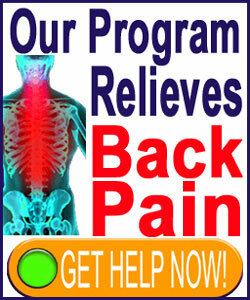 Our proven pain relief program fits the bill perfectly and is available 24 hours a day worldwide to help you right now. Is has been peer-acclaimed by some of the best names in the healthcare industry for very good reason: it works! If you just want to research the origins of knowledge therapy, we also recommend Dr. John E. Sarno’s books on the subject. You can read Healing Back Pain, The Mindbody Prescription and The Divided Mind for a complete history of using knowledge therapy to end chronic pain from a traditional medical perspective.